WABC-TV INTERNSHIPS 2019: Please note - Below are descriptions for each internship available at WABC-TV throughout the year. To find out which positions are currently available and to apply, visit the Disney Careers Page. PLEASE NOTE: We are no longer accepting applications for Summer 2019 Internships. Please check back in a few weeks if you are interested in a Fall Internship. "LIVE! w/ KELLY & RYAN"
"LIVE! with Kelly & Ryan" is a daily, one-hour talk show hosted by Kelly Ripa & Ryan Seacrest. The program features a mix of celebrities, entertainers, cooking, and health and fashion segments. "LIVE" boasts its trademark "host chat" at the top of the show but is basically variety programming at its best. Interns will assist with the daily office operations of LIVE! : answering phones, sorting and distributing mail, running errands, answering the intern email account, and other production tasks that come up throughout the day. Interns will also help producers with research for segments and will have the opportunity to observe different areas of the show's production. You will gain knowledge and experience in audience development and live television production. A weekly one hour program, airing on Channel 7, that's dedicated to covering the issues and interests of the African-American community in the New York tri-state area. Hosted by Sandra Bookman, this program focuses on the latest news stories that are impacting the black community. The show offers a new platform for leaders and experts to voice their opinions, concerns and plans. Here & Now takes an in-depth look at both national and local stories of interest. This show also celebrates the lifestyles of blacks living in New York, New Jersey and Connecticut! Here & Now offers features on celebrities, performing arts, restaurants and the latest fashion trends. Interns will work directly with the Station Operations Manager & Production Manager. They will learn the process of how we get our programs on the air. They will interact with distributors and syndicators and help coordinate our weekly air schedule. Interns will also learn about FCC regulations and music rights and licensing. Also our interns are immersed in all aspects of production: assisting on field shoots, transcribing and logging taped interviews, researching/fact checking and gathering post-production elements such as graphics and music. They would also get the opportunity to interface with the marketing, sales, promotions, news and art departments. We're looking for interns who are tech savvy and self-starters. At the end of this internship, students should have a good idea of where their area of interest truly lies and whether they have the skill set necessary to make it in the television business. The WABC-TV marketing department is looking for qualified interns to join our team! Our department creates dynamic multi-platform campaigns, sales packages, and special promotions for advertisers. Interns should be prepared to work in a fast-paced environment and will leave the internship having developed a well-rounded knowledge of the inner-workings of a local TV station, its various departments and how they collaborate on a daily basis. Interns will learn how abc7NY.com and our related social platforms provide 24 hour news and information to the Tri-State audience and beyond. Interns will be responsible for assisting our team in producing stories, editing original video, assisting with our social media channels and much more. They will be active participants in the newsroom, learning and gaining valuable experience to help them build a solid foundation for their future career paths. 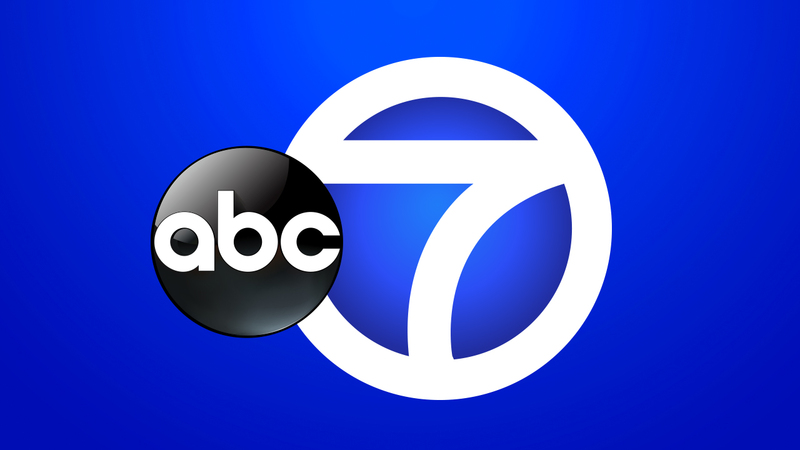 ABC7NY.com and our related social platforms provide 24 hour news and information to the Tri-State audience and beyond. Interns will be active participants in the newsroom, learning and gaining valuable experience to help them build a solid foundation for their future career paths. The Investigative Unit is looking for an intern interested in all aspects of investigative journalism from developing stories, developing contacts, writing and observing the editing process. Work with an award-winning Eyewitness News Investigative Unit. Interns will be responsible for coordinating video footage of sports highlights for WABC-TV's Sports Department. Additionally, interns will gain knowledge in studio and post-production techniques. May have an opportunity to go out into the field with the Sports Eyewitness News team! Channel 7's Creative Services Department functions as an in-house advertising agency promoting all programming on WABC-TV, including the highly-rated Eyewitness News, and our abc7NY brands. The Creative Services internship program is very hands-on. Interns will gain knowledge and real-world experience in production, post-production, promotion writing, and social media marketing. To view and apply for current internship opportunities at WABC-TV, please visit the Disney Careers Page.